Halloween has become one of my favorite holidays to celebrate as an adult. I used to think Halloween was just for kids and never really got too excited about it, but that ship has sailed! Parker and I love Halloween! 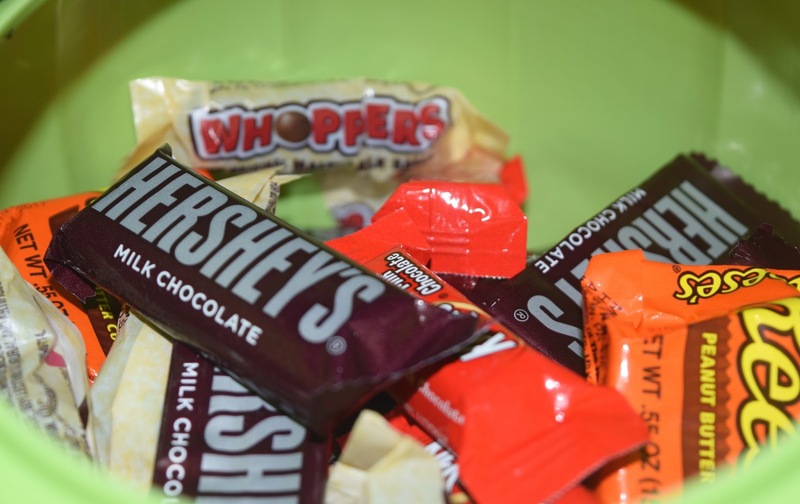 Passing out candy, throwing parties for our friends, and of course all the sweet treats... it's good stuff! Halloween parties are so much fun to plan, and today I want to share a quick and easy way to throw the perfect Monsterific Halloween Bash! 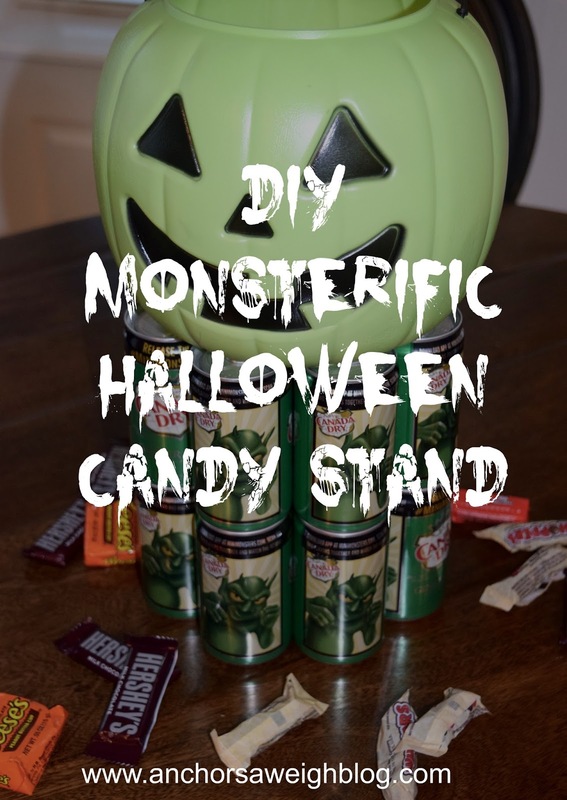 Monsters are fun and epitomize the Halloween spirit, so I came up with a DIY Monsterific Candy Stand to serve all of your favorite Halloween candy. 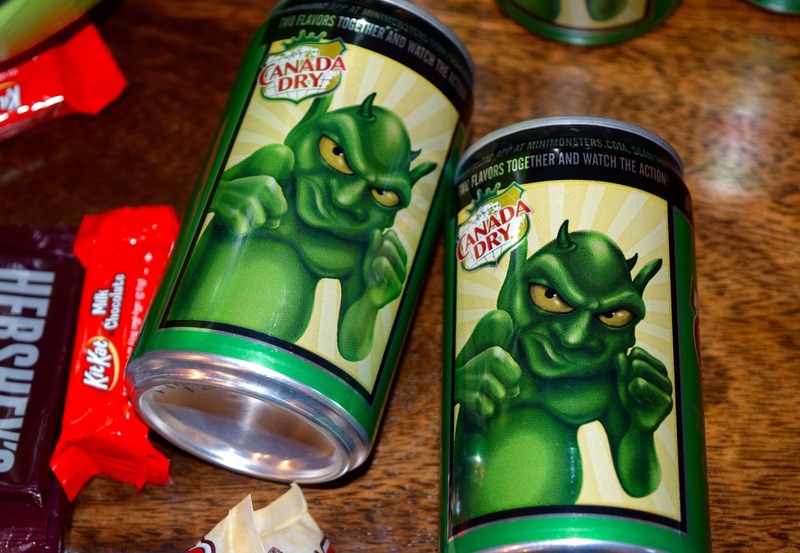 I found some cool new Mini Monster-themed cans of Canada Dry® at Walmart that became the inspiration for the stand. 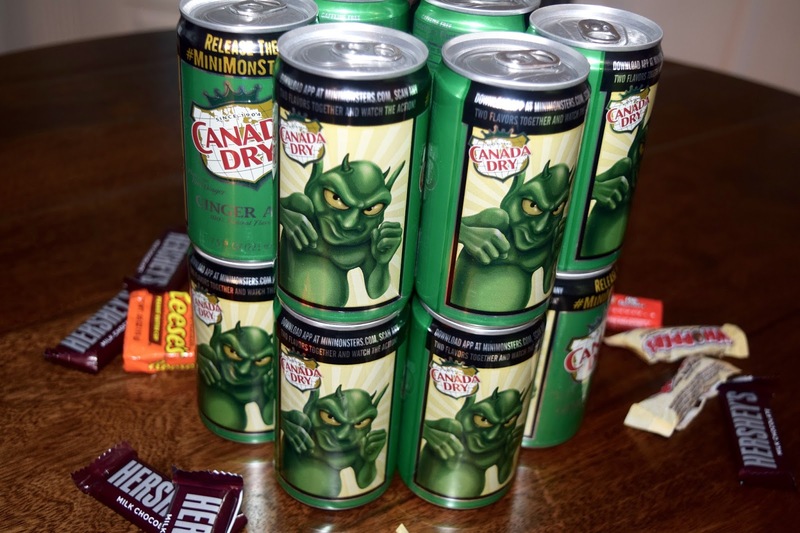 The Mini Monster Cans are so festive and perfect for any Monsterific get-together. 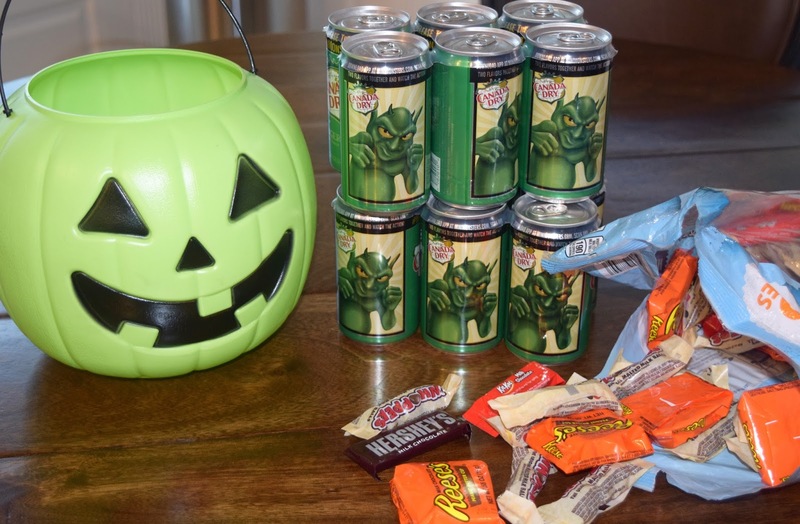 For this simple little candy stand, you will need a candy bucket (also found at Walmart), your favorite Halloween candy, and two 6-packs of your favorite Mini Monster Cans soda flavor. I chose Canada Dry, but you can also choose Sunkist®, A&W®, 7UP®, Squirt®, and Big Red®. Get creative and mix it up! 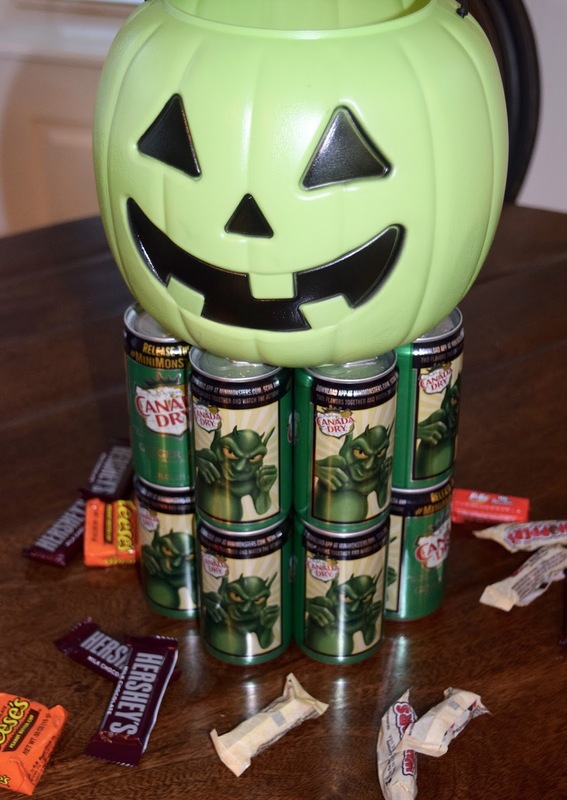 Stack your Mini Monster Cans in a circle with 6 on each layer. I chose to go with two layers since my candy stand was going to be displayed on a table. These cans stack well, so go as high as you want! Top with your candy bucket and fill it up with candy! Easy peasy! Another great feature of these Mini Monster Cans is they come with an interactive app! 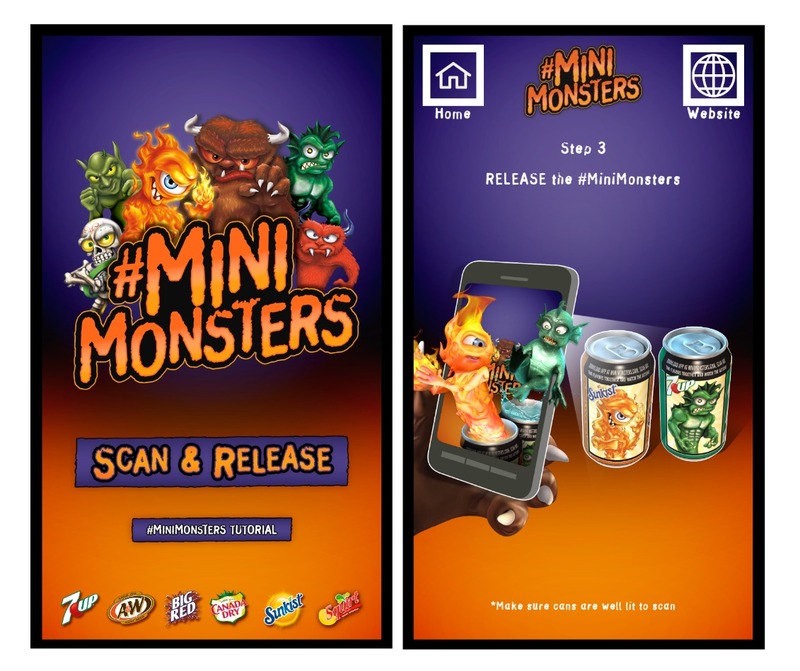 The Mini Monsters Augmented Reality App brings each can to life with an augmented reality experience. The monsters actually interact with each other, and the app allows you to take selfies with the monsters. This would be a great party activity! You can activate the experience by downloading the app by visiting www.minimonsters.com. Here are a couple of snapshots of the app from my phone! If you're interested in making your own Monsterific Halloween Candy Stand, head to Walmart and find everything you need to get started! Bonus: there is currently an Ibotta offer for these Mini Monster Cans! T-minus 1 month until Halloween, yall! Tis the season for candy and all things monsterific!